I'm usually bored to death to work with UI layout or CSS. 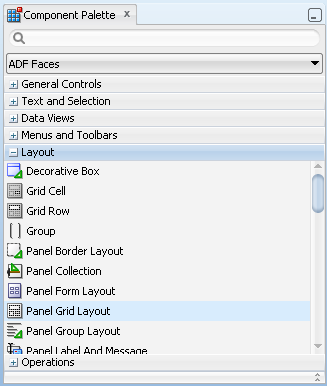 But not today, when we have new af:panelGridLayout ADF Faces component available with JDev 11.1.2.3.0 (it was already available with 11.1.2.2.0). 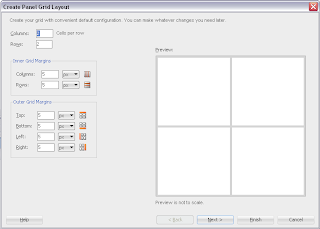 Read more about it from Duncan Mills blog - PanelGridLayout - A Layout Revolution. 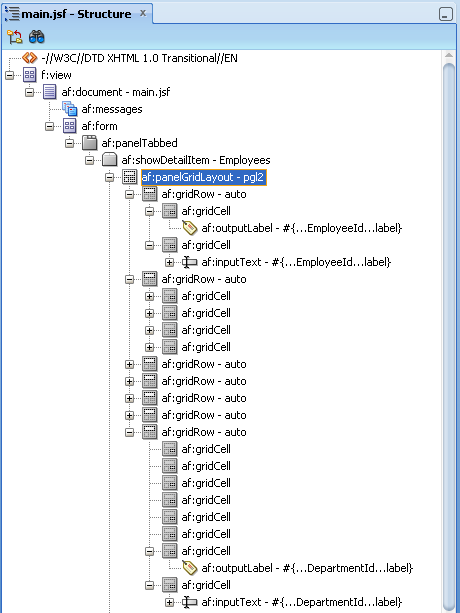 This will change how we build layout in ADF, but also it will change how we build form blocks layout. I believe it will substitute af:panelFormLayout component, in more complex use cases. This is especially true for Oracle Forms modernization - usually Forms screens are pretty complex and stuffed with af:inputText boxes. Up till now it was hard to adapt af:panelFormLayout to create proper grid UI - this will change with af:panelGridLayout component. Input text boxes are rendered using grid structure and spread across different areas of the page. We could achieve similar layout structure with af:panelFormLayout, but this would mean to add lots of af:spacer components into empty areas - not a real grid. Anyway I could upgrade JDev 11.1.1.5 to JDev 11.1.2.3.0 and get the Webcenter /SOA / BPM extension ? or bring the components added in 11gR2 like PanelGridLayout to 1.5 ? Nope - you can't do this. 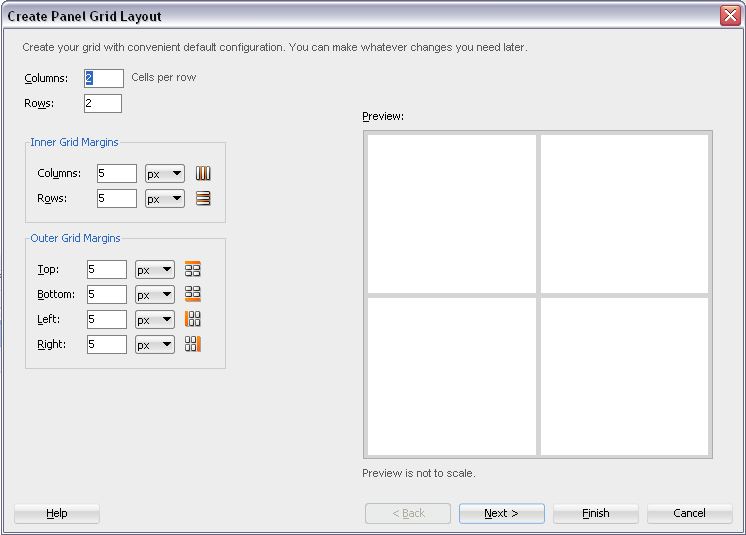 Hello, a tried to use panelGridLayout for a layout template, but gridCell inject left-margin of 5px... I tried unsuccessfully to remove this attribute.. :( it`s a bug?